A few weeks later and the flower beds are flourishing. Workers are cleaning the rubbish on a regular basis and more importantly new seating is in place. I love the seats. I saw them in the rain and the colour lit up the area. 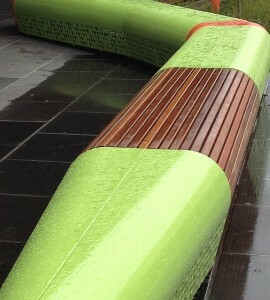 Good design and a wonderful addition to Chapel Street. 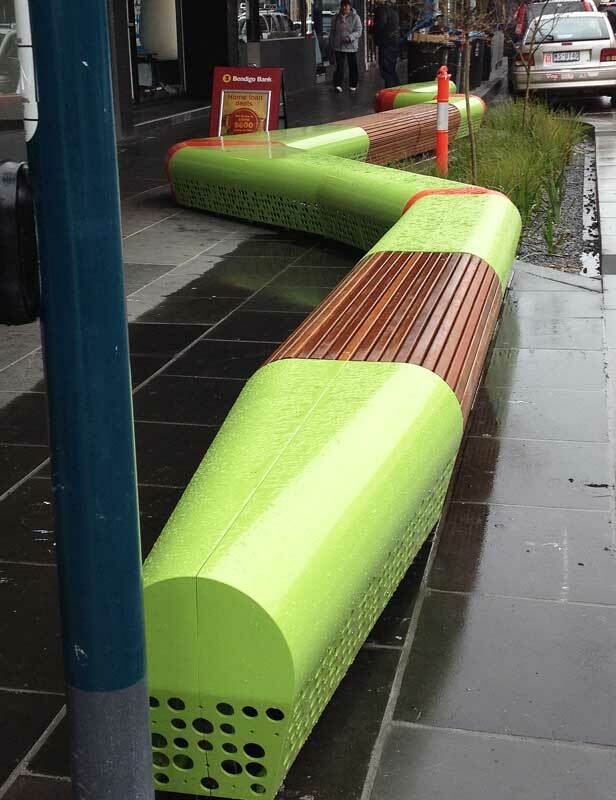 Take bow whoever designed them for the Stonnington Council. In my opinion they are a great for the strip. Let me know if you agree or disagree. Not everyone likes green. 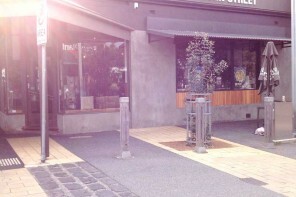 In my last post on Chapel Street I suggested a couple of places for food and coffee. Here’s another one Uncommon. Broadsheet gives it a good server. They are in the old Tarlo and Graham building. I missed Tarlo and Graham when they moved but Uncommon is a good replacement. They still have the old iron doors that graced Tarlo and Graham. This photo doesn’t do the doors justice. You really need to see them. Previous articleBatch in Balaclava for breakfast. I have renewed my friendship with this St Kilda East icon. 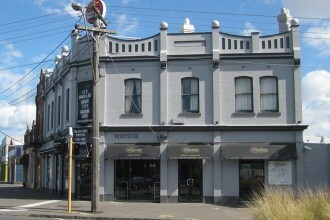 The Wayside Inn Hotel South Melbourne – good eating – with a new cook and new management.